Juicing is the easiest and quickest way to transform your life. Fresh, vitamin-rich fruit and vegetable juicing recipes can help you lose weight and improve your health by boosting your metabolism and cleansing your whole body. Juicing for Beginners will teach you how to start using juicing recipes today for weight loss and better health, with 100 simple and delicious juicing recipes, as well as a complete guide to starting your own juicing diet. Learn how to pick out the juicer and juicing recipes that are perfect for you. Discover the nutritional benefits of each ingredient, from oranges, to spinach, to wheatgrass, and find out how to create your own refreshing flavorful juicing recipes. With easy-to-follow directions and amazing juicing recipes, Juicing for Beginners is your complete juicing bible. 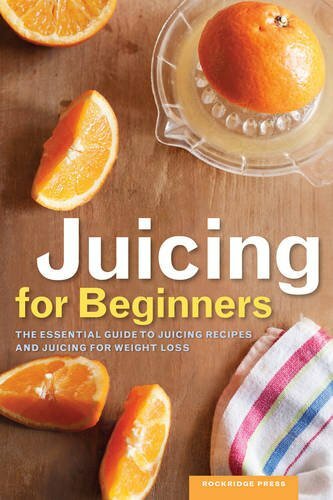 Juicing for Beginners is the book you need to get you on the way to your slimmer, healthier life.